Shoes N Booze: Booze News: $5 Rosé at Target, Yay! Booze News: $5 Rosé at Target, Yay! Are you ready for rosé season? We are! (Confession: we never really stopped sipping it after summer ended. We don't care if you're judging us.) That's why we were so happy to hear the news that Target (AKA Tar-jay) is adding $5 rosé to its wine lineup this month. 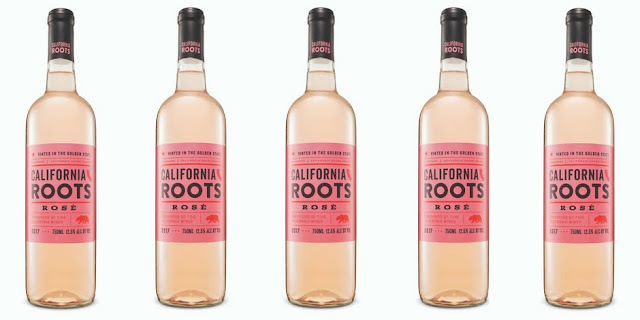 Beginning April 8, you'll be able to score California Roots Rosé, which is said to present notes of fresh berry and citrus, at one of 1,200 stores nationwide. Target began offering California Roots, a cost-effective collection similar to Trader Joe's controversial "Two Buck Chuck," last August, and it quickly became a bestselling brand. While many have concerns about the flavor and origins of "super value" wines, Wine Enthusiast awarded a Best Buy score to California Roots' red blend, chardonnay and pinot grigio. Target also sells the brand's moscato and cabernet sauvignon. 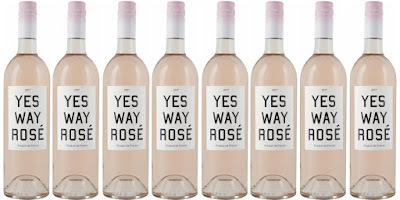 We were already excited when Yes Way Rosé hit Target shelves recently. Now we can shop buy rosé to drink at home AND a few bottles to mix in sangria, make frosé or bring to friends' barbecues. We haven't tasted the California Roots Rosé yet, but we'll be sharing our thoughts when we do. Stay tuned to our Instagram... our opinions are sure to make it there first. Oh, and do let us know when you try it.